The adorable bunny in the April design is sure to be everyones favorite this month! 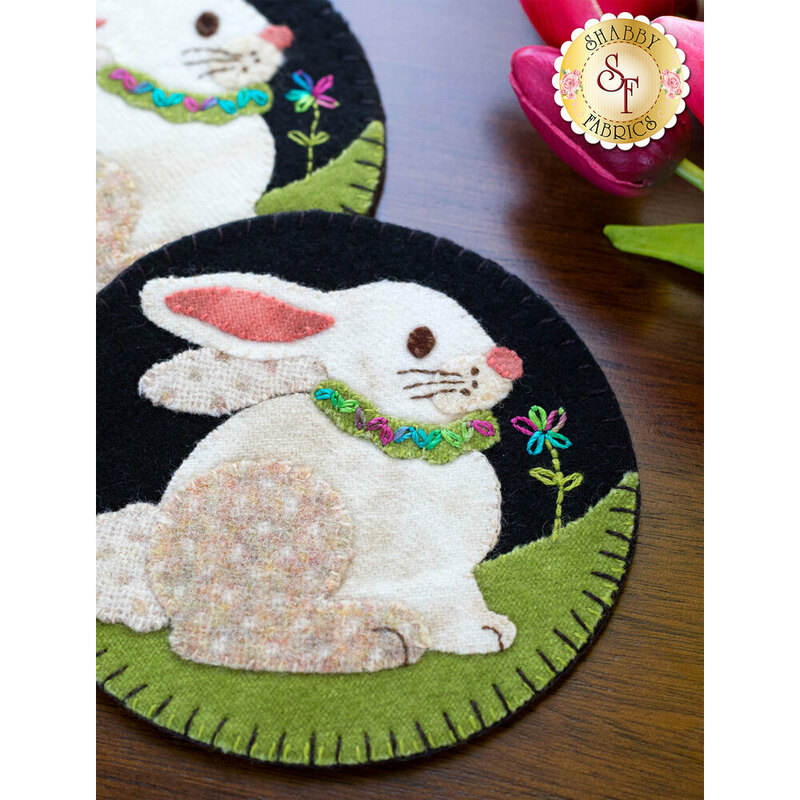 The two adorable bunny dons a brightly colored wreath that pop against the creamy mottling and dots of her fur. A flower made with simple embroidery adds a sweet touch to these darling coasters. 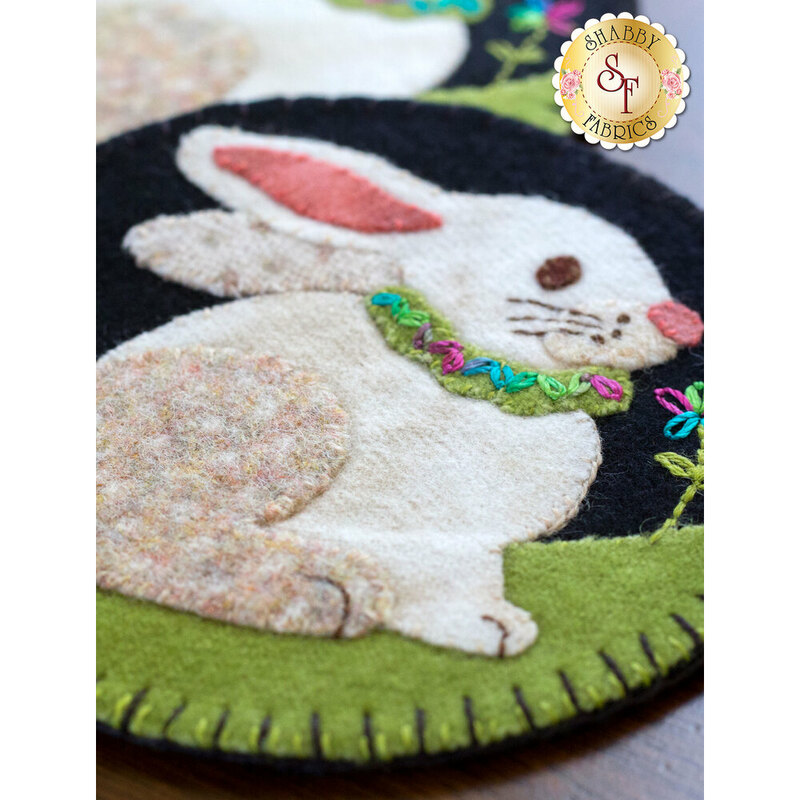 These one-of-a-kind Wooly Mug Rugs are designed, and only available at Shabby Fabrics! Made using 100% wool, the Wooly Mug Rug Series is a perfect way to bring the spirit of each month to your home! As functional as they are beautiful, the Wooly Mug Rugs can be used as coasters and decoration, with each design featuring specific stitches and gorgeous threads. Specifically designed with the beginner in mind, they are fast and fun projects to look forward to each month! Each kit makes 2 mug rugs and will be released the month prior so you'll have time to make them and display immediately! Mug Rugs measure approximately 5" x 5". Download the Wooly Mug Rug April diagram HERE! 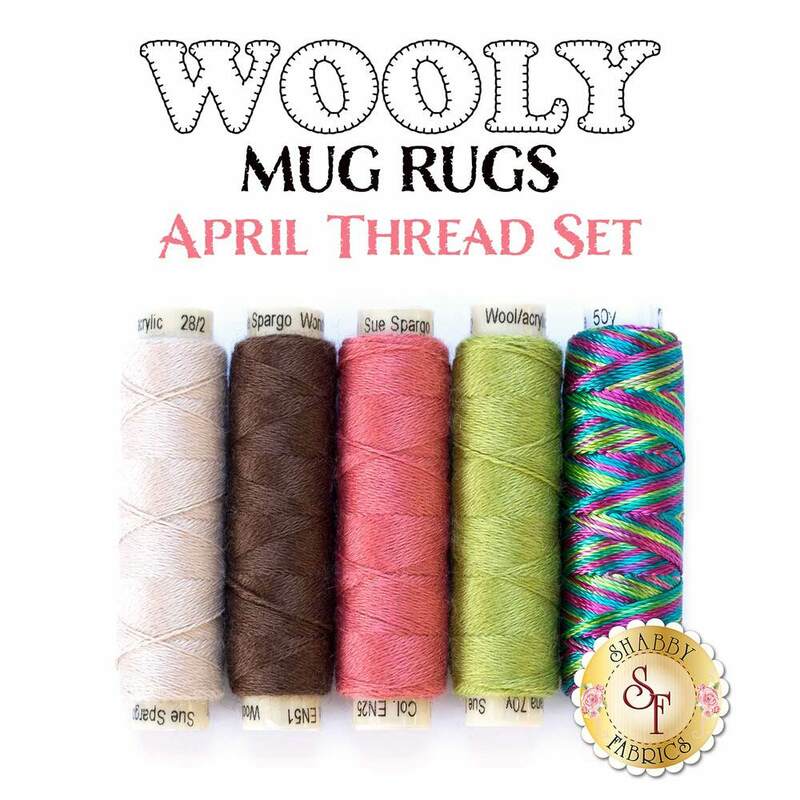 5pc Wooly Mug Rug April Thread Set - Coordinated Sue Spargo Ellana wool threads and Razzle thread add that extra special touch to your mug rugs! Wafer 1 Lightbox 9" x 12½" - Extremely helpful for tracing appliqué lines!